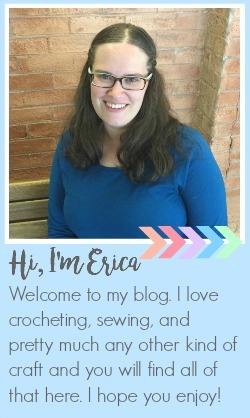 Do you have any crafts you want to try but haven't yet? 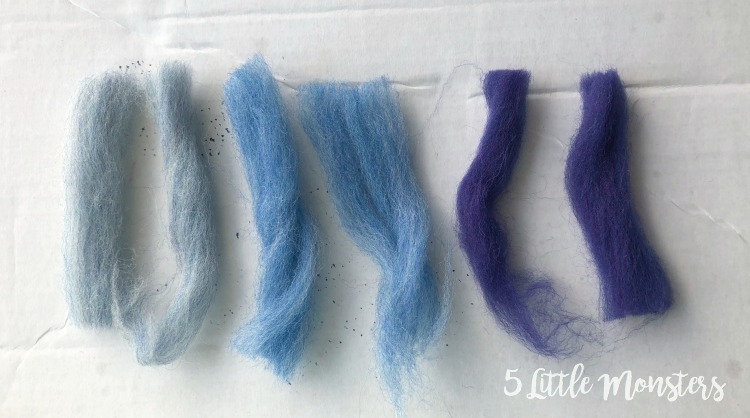 One of those things for me was wool felting. 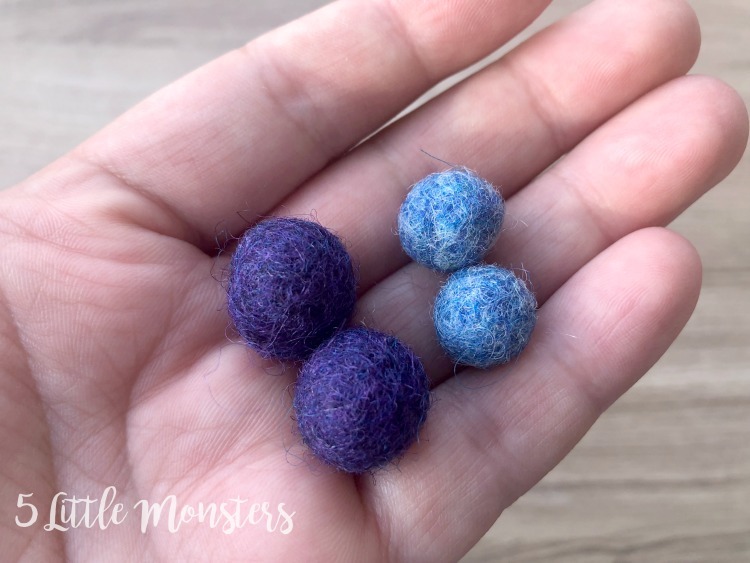 I think the little felted wool balls can be so cute for different projects but I have never tried making them. 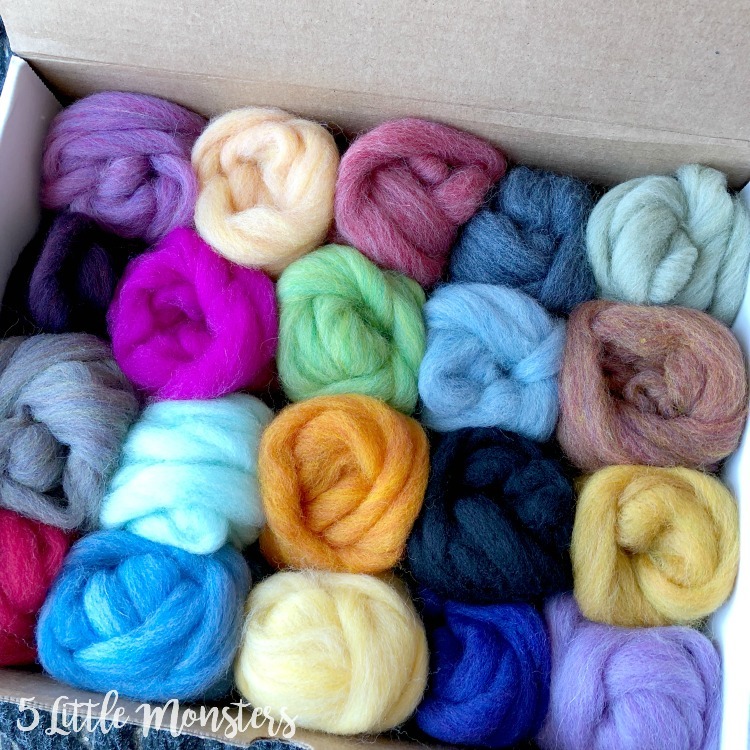 So, when I got the chance to review a sample box of wool roving from Kraemer Yarns I was really excited to try it out. The box came with 20 colors and the colors were all so pretty. I almost didn't want to use them because they looked so pretty sitting in the box. My 9 year old daughter saw the balls of wool in the box and got really excited. She told me she had used wool like that at school to make felted balls. She was excited to make them with me, especially because she knew what she was doing and it was my first time. We made a few colorful balls that I will probably add to and then make a little garland. 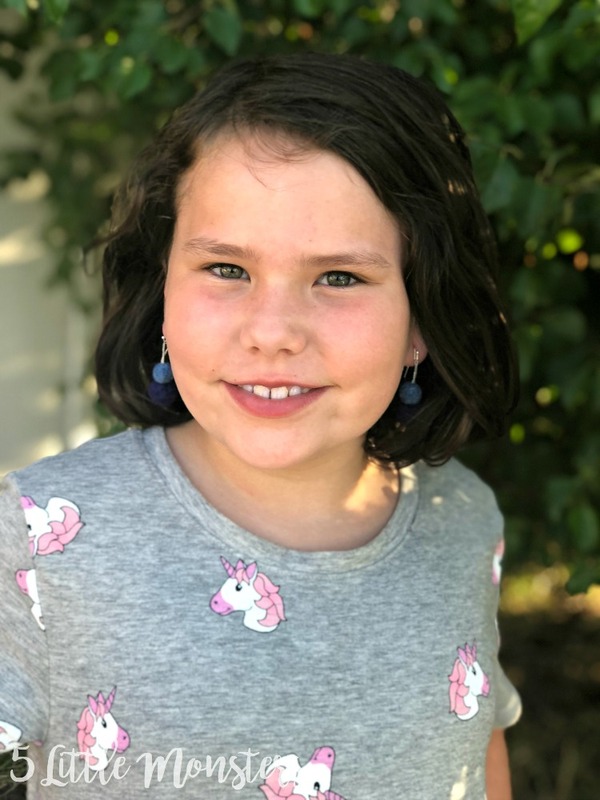 Once I had made a few and felt comfortable with them I decided that I wanted to try to make something but I kind of wanted to do something other than a garland because that seemed like the most obvious thing. 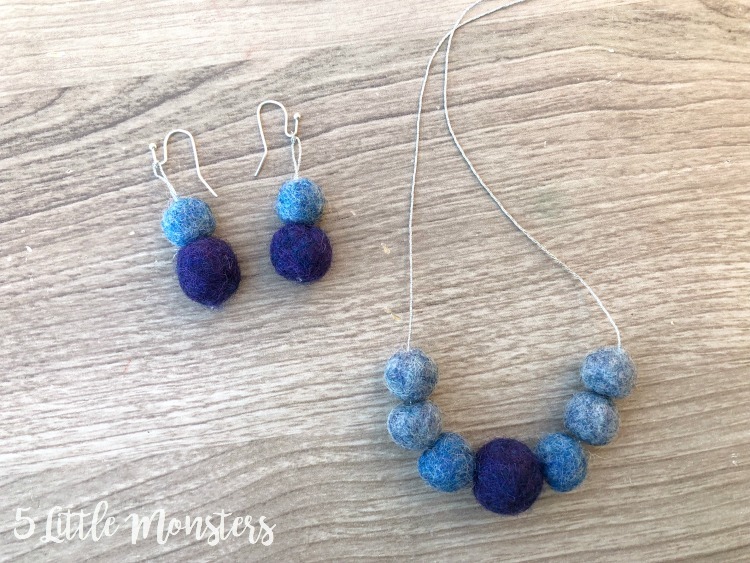 I decided to choose a few shades of blue and make the balls a little bit smaller and turned them into a pair of earrings and a necklace. 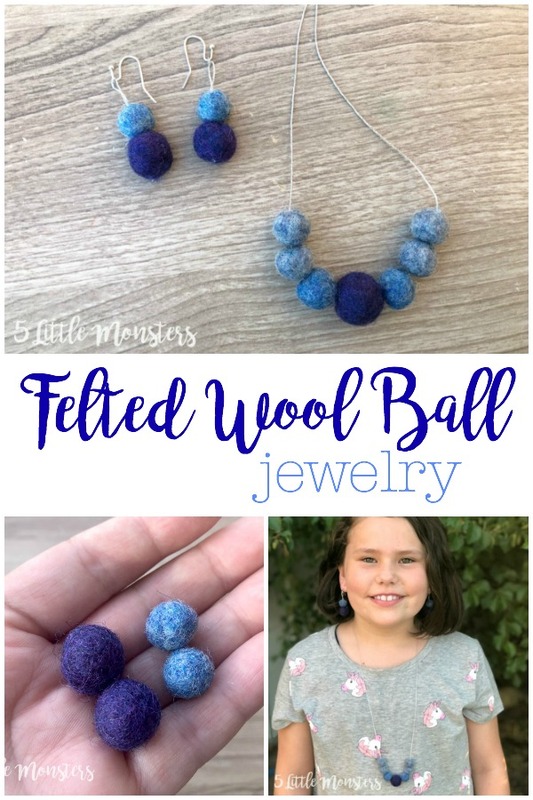 First you will need to make your felted wool balls. To do this cut or pull off between about 3"- 4" for the bigger balls and 1 1/2"- 2" for the smaller balls. Pull on the wool to slightly separate the fibers. Get the wool wet with hot water and add a drop of liquid soap in the center, I used hand soap. Gently start to roll the wool between your palms. As you roll the ball will get tighter and and smaller. Rinse and/or add more soap as needed. When the ball is finished set it aside to dry. 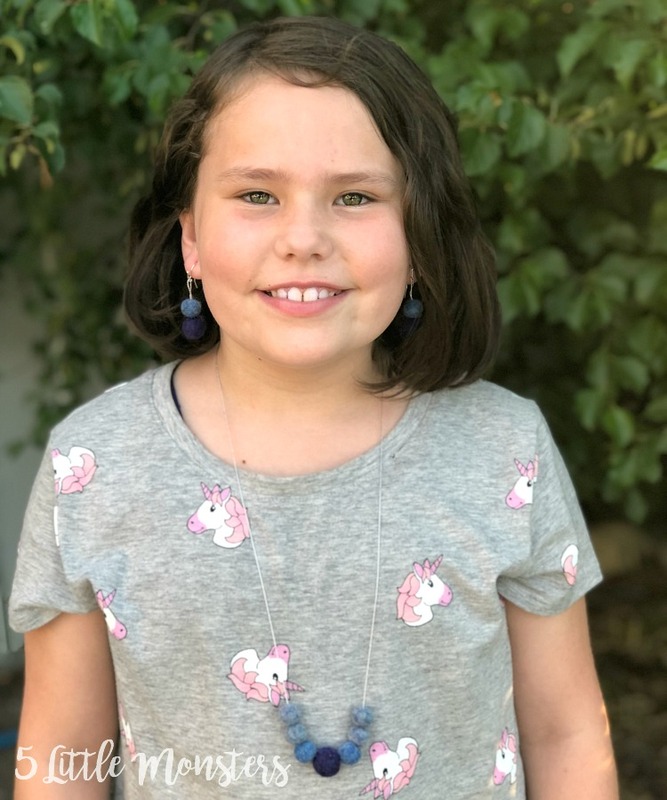 Cut a long length of thread for the necklace and two shorter pieces for the earrings thread the balls onto the thread and tie in the back for the necklace and to the earring hooks for the earrings.